Why does the FCC want to tax Internet access? Your monthly Internet bill may soon get a bit more expensive thanks to a proposal by the Federal Communications Commission to impose a government fee on broadband Internet service. The money collected through the tax would be used to help connect the 19 million Americans currently without high-speed access to the modern Web. The Internet service tax, first proposed by the FCC this spring, would route money to the Connect America Fund (CAF), a $4.5 billion initiative the FCC launched last year. The CAF is an offshoot of the Universal Service Fund (USF), which is financed through fees imposed on landline and cellular telephone service. The Internet tax would boost each Internet service bill by an estimated $1 to $5 per month. The USF states that “[e]very telecommunications carrier that provides interstate telecommunications services shall contribute, on an equitable and nondiscriminatory basis, to the specific, predictable, and sufficient mechanisms established by the Commission to preserve and advance universal service.” As mentioned, this so-called contribution only applies to telephone service. Problem is, the rise of the Internet — and thus Web services like email, video chat, social networks, and VoIP phone service — has reduced the popularity of long-distance calls on traditional telephone networks, which in turn results in lower tax revenue for the USF. In other words, the definition of “telecommunication” has changed on a technical level, and the current tax system is not able to support the necessary advancements. Though 19 million lack the ability connect, many more have chosen not to pay for the privilege. The FCC estimates that 100 million Americans have not yet subscribed to broadband Internet, which includes many who could connect if they so chose, but have opted not to do so. According to FCC Chairman Julius Genachowski (pdf), this means that the deployment of Internet infrastructure has not been “reasonable and timely” — a requirement of the Telecommunications Act of 1996. 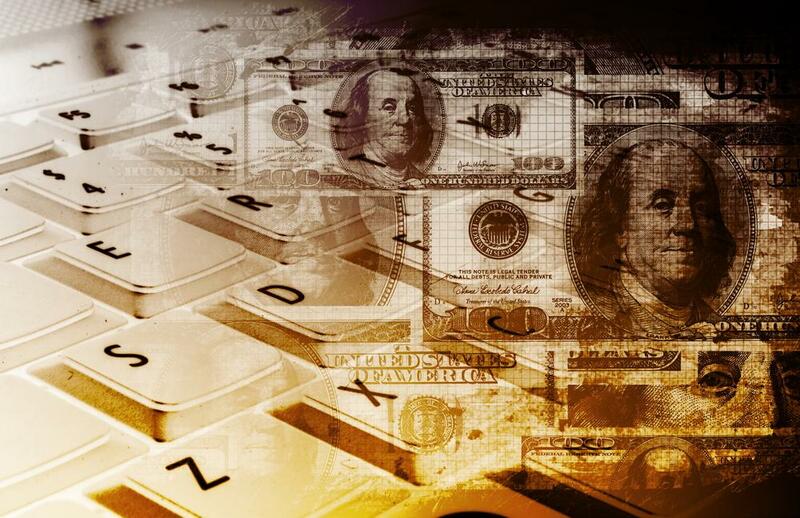 The proposed Internet service fee would, according to the FCC, help close the gap. While few Internet users will likely rally behind paying more money each month, the tax proposal has some heavy-weight supporters. According to The Hill, a growing list of Internet-related companies have offered support for the fee. The list includes AT&T, Sprint, and Google. The support by Internet service providers like AT&T makes perfect sense: The tax would subsidize their business by paying for the expensive process of installing physical infrastructure — the wires and cables needed to sent Internet to a community or home. Support from Google also makes sense — but the logic comes from a slightly more round-about angle: Google likes a tax on Internet service as an alternative to taxing Web services like those Google provides. And the more people who connect to the Internet, the more money Google can make from Web advertising, content, and services. Not surprisingly, many have come out against the imposition of an FCC fee on Internet service. Though this block is primarily made up of anti-tax conservatives who oppose taxes in general, there are other, more practical reasons to oppose the tax. Derek Turner of Free Press, a public advocacy group, says that lumping additional fees onto already-high Internet service plans will only work to further turn Americans off of high-speed Internet access. As I mentioned earlier, a whopping 100 million Americans — one-third of the country — have shunned high-speed Internet access, even when it’s available. There’s a good chance price plays a major role in the decision not to adopt or upgrade service. Is the FCC hiding something? Others believe that the FCC’s proposed fee has nothing to do with expanding broadband access — after all, about 94 percent of Americans DO have access to a high-speed Internet connection in their home. And many of them don’t even want it. So, what is the FCC up to? Forbes contributor Larry Downes says this is simply an FCC power grab, nothing more. By criticizing the Internet service industry for failing to deploy broadband infrastructure in a “reasonable and timely” manner, the FCC is able to hold onto its powers to regulate certain portions of the Internet — powers only available to the agency in situations where it must take “immediate action,” as outlined in section 706 of the 1996 Communications Act. If everything is going well — and Downes argues that, with a vast majority of Americans being able to subscribe to high-speed broadband, it could not be going better — then the FCC does not have such authority because Congress has never granted it. Downes’s position is the same as those who opposed to the FCC’s Net neutrality rules. In both cases, FCC critics say the agency is overreaching and has no constitutional basis for regulating the Internet — for now, at least. Right or wrong, it is highly unlikely that the FCC will push this measure forward in any public manner between now and November. It will wait until after the national election hoopla has concluded. So at least we have some more time to mull this over before the bandwagon really starts to roll. In the mean time, you can read the FCC’s request for comment on the new fee here: pdf.